In Japan women do the gifting on Valentine’s Day. Many make chocolates for their friends and sweethearts, which means that this time of year every 100 yen shop and supermarket is stocked with chocolate-making and wrapping paraphernalia. I’ve been ogling adorable, tiny, heart-shaped boxes for weeks. The thing I discovered, however, is that for most people making chocolates means melting chocolates, then reshaping and decorating them with waxy sprinkles and frosting to make them all somewhat inedible. I do not like frosting. Or sprinkles. 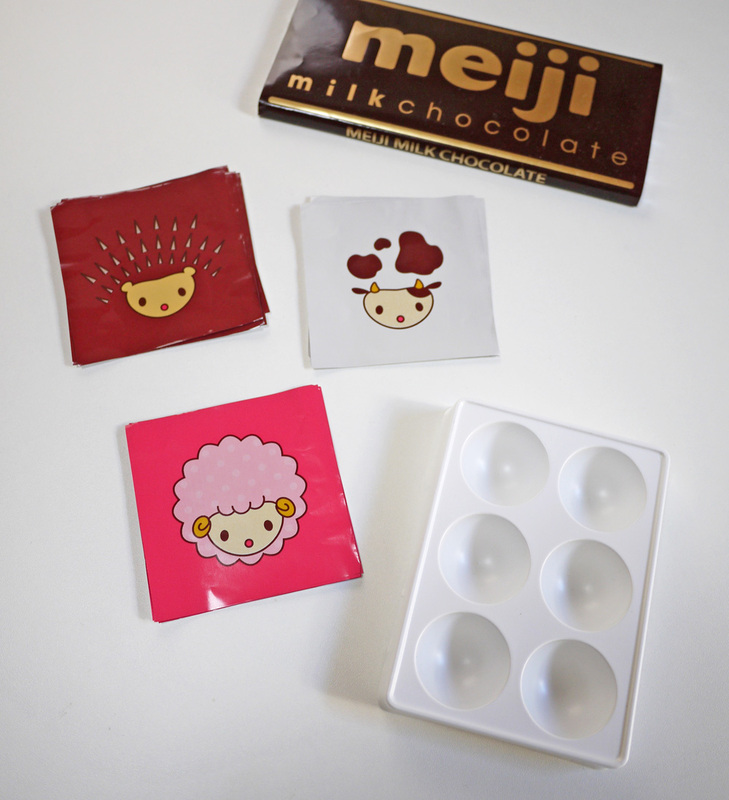 Making chocolates is otherwise appealing, so at my local 100 yen shop I picked up a chocolate mold kit with foil wrappers, which I thought was a good compromise. 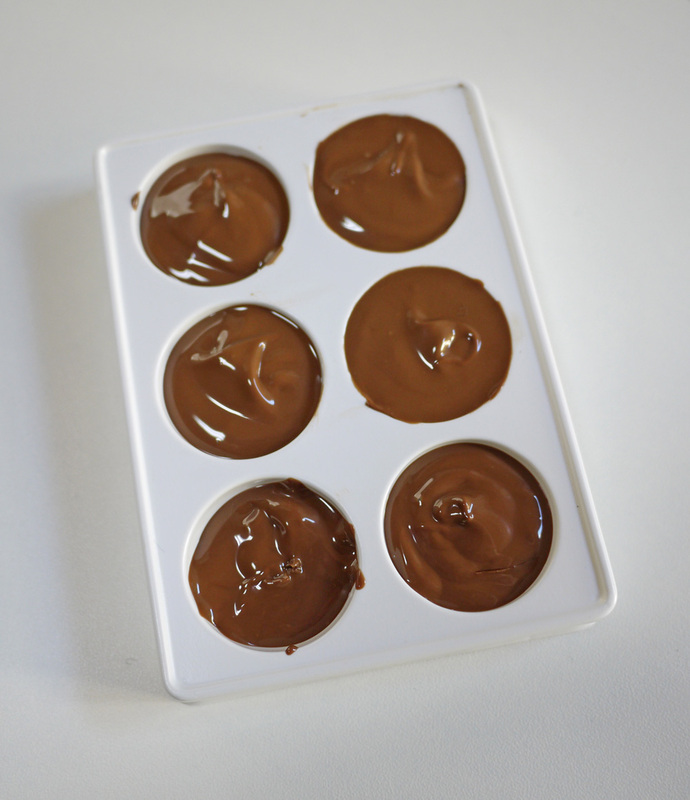 I used a double boiler to melt the chocolate then poured it into my mold. After an hour in the refrigerator they popped out easily. 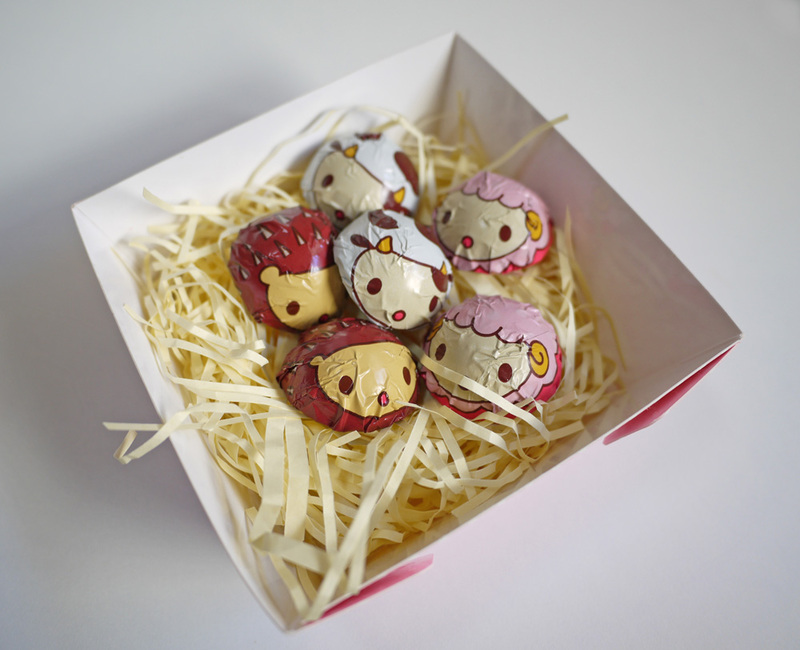 I wrapped them in foil, creating tiny hedgehogs, sheep, and cows. Gathered in the box, they look like they’ve been corralled into a barnyard. Then I added neon hearts and sparkle snowflakes to my photo, just in case it wasn’t sweet enough. Happy Valentine’s Day from Japan! 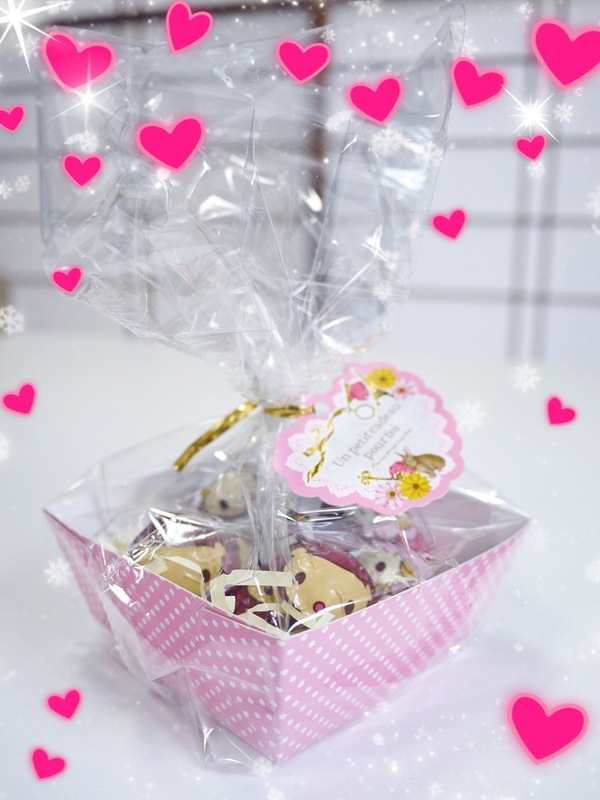 This entry was posted in Crafts and tagged 100 yen shop, バレンタインチョコ, chocolate, chocolate mold, dessert, DIY, Japan, valentine s day, Valentine's Day. Bookmark the permalink. 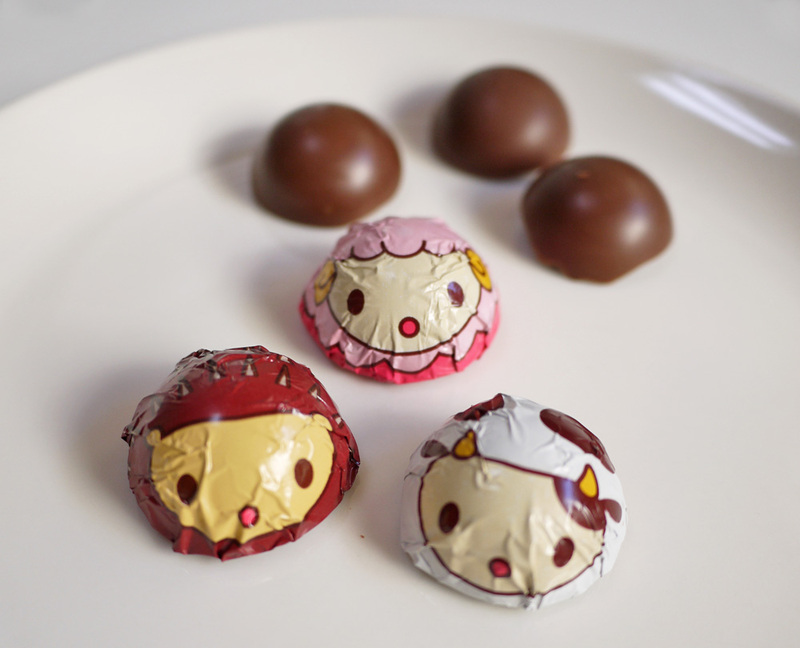 Such cute wrappers! And good choice of chocolate to melt, too! 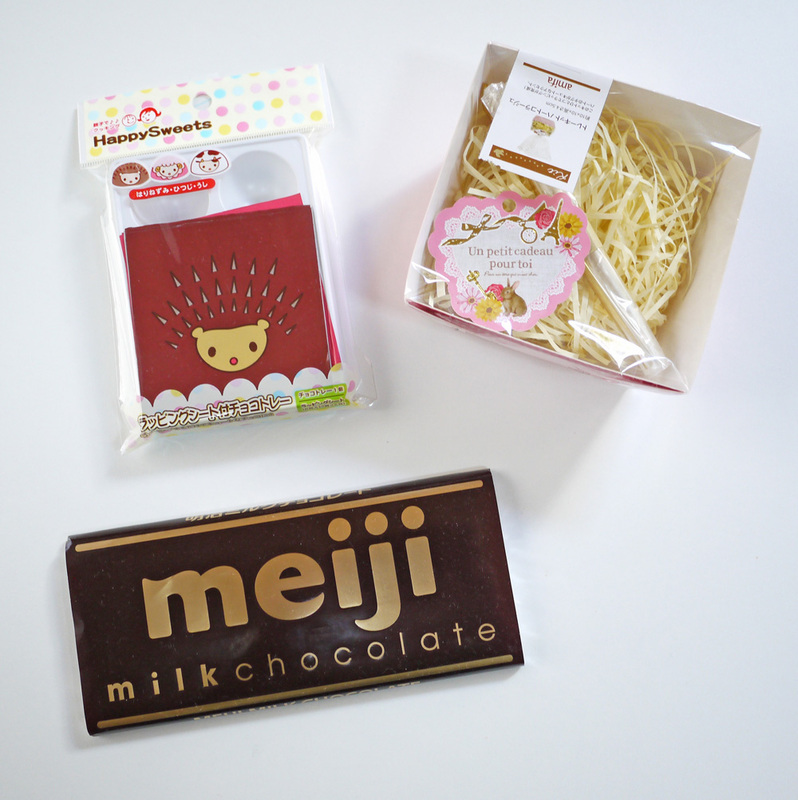 :3 I’ve gotten those Meiji chocolate bars from an import store nearby, and they’re quite tasty! I kind of wish Valentine’s Day here involved a bit more of the handmade element. It seems to me like when you’re giving gifts like that, sprung from affection, a bit of a handmade personal touch just makes the whole thing that much better! Agreed! I usually make Valentine cards myself. They are quite wonky and imperfect, but that adds character, right? Hey! I meant to include you in the blogger award I’m passing on and and it totally slipped my mind until I saw your comment. I just updated my post, you can see the details there. Love your stories of Japan! Oh those foil wrappers are adorable!! What a great find 🙂 When I first moved here, I thought women were amazing since they all knew how to “make” chocolate! When I found out that just meant “melting,” I was a bit disappointed. But still – I love seeing all of the women carrying bags filled with cutely packaged gifts on V-day! Love yours too!